Ghana coach Bashir Hayford is hoping to make history by clinching the ultimate on home soil at the upcoming Africa Women Cup of Nations (AWCON) 2018 holding in Ghana between November 17 and December 1. The eight participating teams were housed in two groups during the final draw that took place in Accra on Sunday. Ghana and Nigeria were seeded ahead of the draw, barring the possibility of both teams meeting each other at the group stage. However, coach Hayford admits that the Super Falcons are a team nobody would like to meet early in the tournament. The Black Queens will have to progress from Group A, which contains as well, three-time finalists Cameroon, Algeria and Mali in order to have the chance to meet Nigeria. 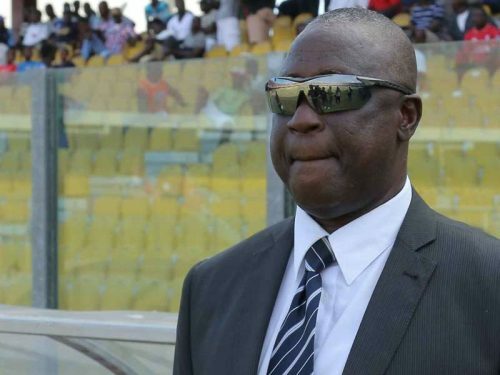 Hayford, who has coached a number of male clubs in Ghana, tips his group (Group A) as tougher than Nigeria’s Group B, which has other teams like Kenya, South Africa and Zambia. “Group B is the group of death, don’t be deceived. Cameroon are a very good team and very technical and have experience. Mali have strength while Algeria’s got pace. We have to bring out strategies to counter all that. “Our objective is to win the title here and make history. Ghana have never won this, while Nigeria are hoping for an eight title. We have to hold the trophy down here,” he said. The tournament will be hosted in two cities: Accra, where Group A will be based and Cape Coast, home to Group B. The top three finishers will secure automatic qualification to next year’s Fifa Women’s World Cup to be hosted by France.